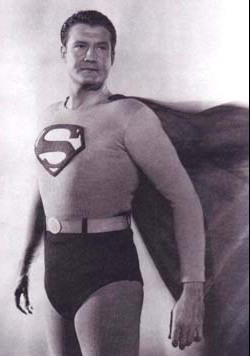 The Adventures of Superman (1952-1958): George Reeves has to be the best Superman that ever was. He looked the part; face, build, height, everything (even though he wore a padded suit for muscles). He also acted more like Superman should; an authority figure you could respect. 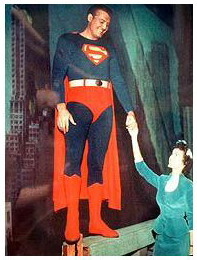 Reeves' Superman didn't have problems like other people, hence the "super" of his namesake. What makes the "Adventures of Superman" so great is that they are all half-hour shows with quick, fascinating plots that hold your attention. Once Superman starts fighting, things get resolved quickly. A blazing fire goes out with one single puff, bad guys get knocked out with the first blow, doors get ripped off without much effort. The producers didn't stretch out the special effects to get their money's worth like you see in so many other superhero shows. Reeves also had quite a bit of acting talent. An example of this is in the episode "The Face and the Voice" where Reeves has a dual role as a Superman imposter. This criminal, before taking on the guise of the Man of Steel, was a grotesque looking thug with a thick Brooklyn accent. 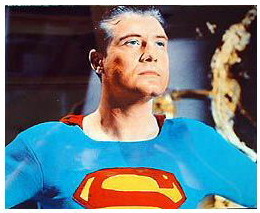 Overall, Reeves' Superman was not arrogant or whiny. He is truly a role model for children and adults alike. Jack Larson, who played Jimmy Olsen, remembered Reeves of having a photographic memory and could memorize a day's script in just one reading. Wow! Another plus to this series is Jack Larson as Jimmy Olsen. He's a likeable character as Clark Kent/Superman's pal and photographer for the Daily Planet newspaper. 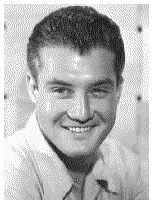 I think the combination of Jack Larson and George Reeves is what really made Superman "fly".